Processes to clear potentially flammable, explosive or toxic materials from tanks, lines and other areas or to control the atmosphere within them are important operational steps for many industries. Coregas has supplied gases for these processes across New Zealand industry throughout our 20+ years of operation, which has led to our standard range including gases suitable for most inerting, purging and blanketing applications. Whether controlling fire and explosion hazards such as combustible dusts, eliminating toxic materials or controlling product quality during production, we have a gas to suit. For non-standard applications, Coregas can produce customised gases or gas mixtures, supply in bulk or design and install complete supply systems. Our engineering and technical teams have decades of experience in delivering bespoke systems customised exactly to individual applications’ requirements. See our case study below for one example of a specially designed mining inerting project. Inerting and purging refer to replacing the atmosphere in a line, vessel or other area with an inert atmosphere, eg the space above liquid fuel in a fuel tank, to reduce the likelihood of combustion. Purging of supply lines, pipelines and tanks is a common step before commencing production or prior to shutdown. Blanketing refers to maintaining a protective, inert layer over materials. Blanketing is commonly used in storage of highly volatile or reactive substances, or where there are concerns around safety or degradation of the substance if it is not protected from moisture or oxidation. Combustion requires oxygen, fuel and an ignition source such as heat; reducing just one of these will prevent combustion. Whilst it may not be possible to remove fuel and heat from an area such as a fuel tank, replacing air above the fuel with an inert gas reduces oxygen well below the concentration required for combustion. 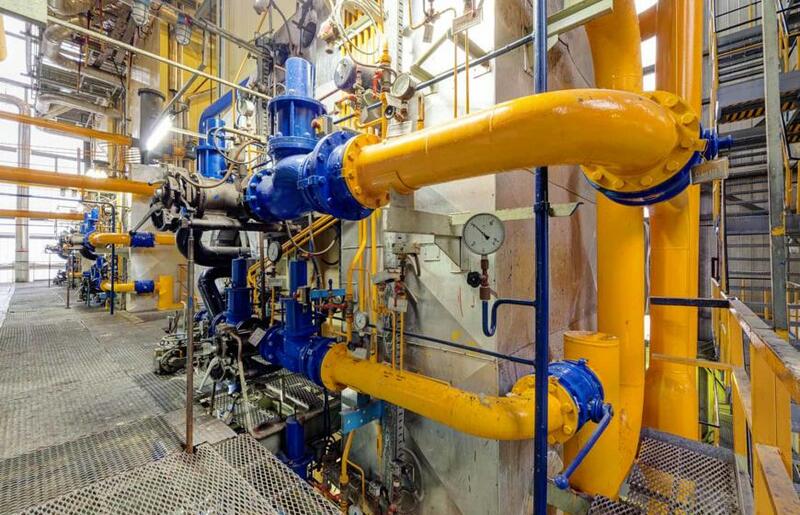 The most common gas used for inerting, purging and blanketing is nitrogen due to its cost effectiveness, ease of production and relative safety. It is so common the processes are also known as nitrogen inerting, nitrogen purging and nitrogen blanketing respectively. Other typical gases include nitrogen-enriched air, carbon dioxide and argon. The choice of which gas to use depends on the application requirements. Typical applications include inerting of fuel tanks, oil tanker cargo holds, mines, chemical industry, petrochemicals, refinery and food packaging. Long-wall mining, where a machine extracts coal from a coal seam and the resulting void is allowed to collapse in on itself as the machine moves on, is potentially hazardous. During mining, coal releases methane which can build up in the collapsed area known as the goaf. Mixed with oxygen in air, this methane can produce a highly explosive mixture that has historically resulted in many deaths and injuries. While the long wall is still in operation, constantly flushing the goaf with fresh air ensures miners can breathe and prevents a build-up of methane and toxic gases. When extraction ends however, the area must be sealed and, to ensure the atmosphere remains safe, filled with inert gas to displace oxygen. One such Rio Tinto mine in Australia uses the long-wall mining method and awarded Coregas the contract to supply liquid nitrogen for their long wall inertisation. Previously the mine made inert gas on site using generators such as boilers or jet engines, but with Coregas’ air separation units (ASUs) in Mackay and Port Kembla, nitrogen is in plentiful supply. The mine chose to use liquid nitrogen because of its benefits of being a flexible, more reliable alternative to the previous on-site generators. Plus it came with the environmental advantage of not using diesel fuel and the expertise of Coregas’ engineering and technical teams. Coregas’ large capacity for nitrogen supply proved useful because a long wall is typically 415 metres wide, 2.5-3.0 metres high and 4 kilometres in length. That requires a lot of gas to fill. In this case, it took 25 days of work with the facility manned 24/7 and many loads of liquid nitrogen. The Mine Ventilation Engineer was very pleased with the outcome, commenting that “nitrogen is the way to go in future”. Caley, D, (2017). Using liquid nitrogen for the inertisation of goafs. In The Australian Mine Ventilation Conference. Brisbane QLD, 30 August 2017. The Australian Institute of Minerals and Metallurgy. pp35-39.